Sight Words Sentences Cards Fun Ideas and Centers for First Grade, Kindergarten, or really any age that you want to teach sight words to! I could see these being fun centers in preschool all the way through 2nd grade... kids love building words at all ages :) I'm so excited to show you these sight word sentences cards and fun ideas for how to use them!! I am in love with these sight words sentences center cards I made because, well, they took me a long time to make! ha :) That's not the only reason but I did take a ton of time to pair an engaging picture to illustrate each sight word in a simple sentence. They are great visuals for kids who learn through pictures but also have the building aspect for kids who learn by doing. Plus, even though it took me a long time, I just really enjoyed making them! I love great visuals so it was fun for me and I'm excited to show them to you! So normally I use these sight words cards using bottle caps but today I want to show you some fun ways I use them using alphabet magnet letters! If you want to see how I use water bottle caps to practice word building, check out my Bottle Cap CVC Word Building Centers post. Typical water bottle caps fit perfectly in the circles so they're a super easy way to recycle and learn at the same time! I made them for all the different phonics sounds past CVC words too so you can use them as a center all year. What I want to show you is how I also love to use my alphabet magnet letters with these! I recommend going to a craft store and getting a multiple compartment box like this to store your letters in! It makes word building so much quicker AND is great practice for kids when they find the letters or put them back to practice ABC order, letter recognition, etc. I bought a few of them so I could have multiple boxes of letters to grab and use. Have your kids use the magnet letters to put a letter in each circle to build the sight word. Then, I recommend having them spell it out loud while pointing ("m, y, my") then reading the sentence for it. They are just so much fun to build the words that kids don't realize how much practice they're getting. Plus, it's a huge sense of accomplishment, especially for struggling readers, to not only read the sight word.. but read a sentence that it's in. The pictures and the fact that the sentences are so simple really help with letting them be able to do that. I also like to laminate and put the new sight words for each week on a binder ring. This makes it super easy to have all the new words that week available right away. You can take the ring of words to the front of the carpet to use to introduce the new words by showing them the word, the picture, and reading the sentence. Students can simply grab it and practice the words for that week. They could also use a dry erase marker to write the letters in each circle to spell each sight word. Then when they're done, go through and read each word and sentence and then wipe it when they're done for the next person. You could also keep them at your small groups table to quickly go over them each day when you call a group back. You can hold it in front of you upside down and have the kids watch as you flip to each new word, read it together, then read the sentence together. One thing I also love is to have all the new sight words for that week pulled out to start each group. When they come to your small group table, there will be a word at their spot. They will read the word and its sentence then you can have them either build the word with magnet letters OR write it using a dry erase marker. Then, they pass it to the right (the person on the end passes it to you and you pass it to the first person for seamless passing and no reaches across the table) and do the same thing for the next word. Simple but efficient and fun sight words practice! It's actually a really awesome way for every single kid in your class to practice every single one of your new sight words for the week. You can do it at the beginning of your small groups to warm them up a few times during the week. Maybe the first time they build it with magnet letters since that takes the longest and will give you/them time to truly practice spelling the word, reading and recognizing it, etc. Then the next time they write it with a dry erase marker. Then the next time they can simply read it and read the sentences then pass to the next person. However you want to do it! Speaking of writing on them with a dry erase marker, this is what I mean! Have kids use a dry erase marker to write the words' letters inside each circle. Having it broken down by letter really helps them solidify the spelling - that's why I encourage using these cards for your week's sight words in multiple ways during the week so they really get a lot of practice spelling the word. Make sure they read the word and the sentence each time too so they're truly internalizing it. You can also use them to introduce your new sight words each week! On Monday, put the sentence cards for the new sight words for that week in your pocket chart. You could also put them on your easel or whatever you use to teach. Call the kids to the carpet and introduce them to each new word. Show them the card - point to the word and read it. Then read the sentence for them and let them take a second to look at the picture (hold it in front of them like you would when showing them the pictures from a book you're reading to them). Then say, "Spell it with me!" and point to each circle as they say each letter in the word. Make sure they can see the card and you pointing as you do it. The words on the card are pretty bold so all of your kids should be able to see it if you hold it up. You could also project it if you have a camera that does that. This is my favorite way to introduce new sight words because it has an illustrated sentence to go with each word. I personally learn a lot better when I have a picture to go along with something new I've learned so I think it helps a lot of kids too! You can also spell the words with your students to practice the sight words. Please note!! Super important! These letter cards DO NOT come with the Sight Words Sentence Cards. 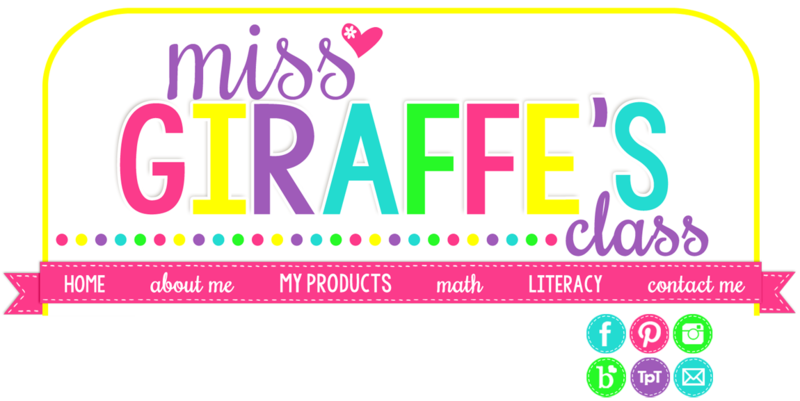 You can use your own letter cards or get mine in any of my Phonics Pocket Chart Centers sets. 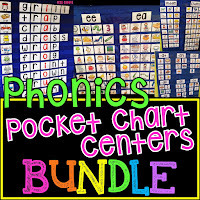 This is the Phonics Pocket Chart Centers Bundle but you can find all the individual sets within its description to buy a smaller set if you only want the letter cards. They come with each set. 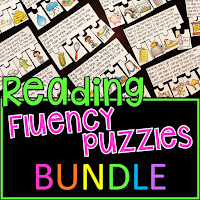 Although I really recommend those if you need more phonics activities - they're a lot of fun if you need pocket chart centers! Anyway, I love to spell out the new sight words. You could also make it a center for them to grab the sight words from that week and spell them in the pocket chart like this. and let them build the words like this! They make a great independent center like that. I made A TON of sight word sentence cards so, no matter what list you use, I probably have your words :) Currently there are 224 words included! I'm not sure how many sight words you personally introduce each week but I prefer 5-7 new words a week. That's a lot of new words each week so that's why I love having activities like these or my Secret Sight Words Centers to practice the words. Like I said, give kids the new words for the week and let them go to town writing them, building them, reading them with their partner, etc.! 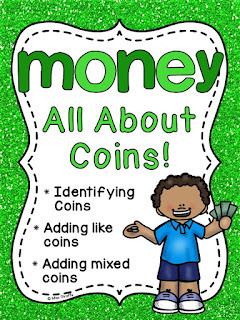 I wanted to say you can also use these for teaching certain concepts... not just sight words! For example, in the beginning of the year, teaching color words is important! Kids can take the cards for each color, build them, write them, etc. and get a lot of practice with spelling that color word. Since there is a picture to guide them, they'll figure out pretty easily what color word they're building. I also love using these cards for teaching number words! I made a sentence card for numbers zero to ten. Kids can easily look at the picture if they have trouble figuring out which number it is then build/write the number word. So for this number word (four), it is also a homophone! I LOVE using these to teach hard concepts like homophones because pictures are e.v.e.r.y.t.h.i.n.g.! When you're teaching homophones, show them the card for "four" and read the sentence and evaluate the picture together. Then, do the same for "for" and point out how the 2 words sound the same but are spelled different and have different meanings. Question words are also a tough skill! When teaching question words, pull them out of your stack and use them to introduce them to your class. Point out how each sentence ends with a question mark. You can also point out to them how each question word is at the beginning of the sentence, remind them about capitalization, etc. to make a little lesson out of it. Then let them build them! :) This is also a great small groups lesson. What I love most is you start the year with some pretty easy words - like, my, see, to... then move on to some pretty tough ones that kids really start to depend on the picture and sentence to figure it out. As the sight words get harder, having quality pictures and easy to read sentences becomes a lot more important. For example, "full" and "air" are not really easy to sound out for a lot of kids. "Air" is a tough word. If they don't know the AI sound yet (or AIR sound), that's not one they're likely to sound out.. but having a sentence that shows a little boy jumping into the air that says, "I jump in the ___!" will help a kid use the picture and context to figure it out independently. Those are the magical moments! Same with "drink" - that can be a tough word but the picture is of a little girl drinking milk so they will probably be able to figure out the word pretty easily. This makes them able to be used independently. Kids can figure out the words themselves then be proud of themselves. What's more amazing than that?? Especially when your students who are struggling readers can look at a tough sight word and rather quickly know what it is. Love, love, love when that happens! So anyway!! I am rambling yet again! I hope you found some fun ways to learn sight words from this post! Thank you so, so much for reading!!!!! Please feel free to leave a comment or ask questions - I love hearing from you guys! First year teacher tips and advice - Are you a first year teacher? I am so excited to share A TON of first year teaching tips and advice with you to help your first year run as smoothly as possible! So it’s about to be your first year teaching! I am sure you are filled with so many emotions. You are going to finally get your own classroom. You’re excited to decorate it, you’re excited to meet your students, you’re excited to be a teacher! You’re also freaking out because you have no idea how to set up your tables, how you’re going to organize centers, etc. It is so normal to be overwhelmed with a ton of different feelings and panic of how you’re going to get it all figured out before the kids arrive. No worries, you will! I recommend reading that any way if you’re a brand new teacher – I gave a ton of advice in it. Either way, though, keep reading on THIS post for a lot of tips! First Year Teacher Tip #1: Surround yourself with positive, creative teachers who still LOVE what they do. Those teachers who you walk into their rooms and it just inspires you – talk to them! Pop in their room once in awhile and say hi. Don’t be afraid to ask them questions. It’s easy if you combine it with a compliment. “Wow, I love your center rotations board. How does it work?” They’ll probably light up by your compliment and gawking and tell you all about it. The teachers who you see walking by with their line of kids and they’re smiling, ask them for advice! Hopefully your school has lots of them! There are some schools with a pretty negative atmosphere but there are still most likely those positive teachers in there somewhere, find them – even if they’re several grade levels different from you. Make friends. Be social. It’s so important to be happy at school so finding like minded teachers you enjoy being around that are uplifting and positive is crucial! First Year Teacher Tip #2: Get to that committee sign up sheet ASAP! Many schools have a committee sign up sheet and require you to sign up for at least 1 committee. This decision will affect you ALL YEAR so make sure you get to it as soon as possible and are informed as possible as to the requirements of each committee. There will most likely be an email or announcement of some kind when it’s put out and, trust me, many teachers RUN to the front office right there and then to make sure they don’t get stuck with a super time-consuming or super un-fun committee. Be one of those people there first. Before the sheet is even out, though, ask a teacher you trust if there is a committee sign ups sheet. If there is, ask them what they’d recommend signing up for. Ask questions. Once the sheet is out, you could also ask the front office staff about each position. Obviously you don’t want to sound like you’re trying to be lazy but you could be honest and say, “I want to help and am excited to pick something but this is my first year so I want to make sure I don’t pick something crazy” and hopefully they say something like, “Well don’t sign up for the ____ then! They meet weekly!” or “The ___ is pretty easy. They just have to ____ and ____” to guide you. DO NOT sign up for something that has to meet weekly or has really intense requirements! I know you want to be the best first year teacher ever and impress everyone but you have a lot of other ways to do that. The best thing would be something that is already well established with other veteran teachers who have been doing it for years that doesn’t have to meet/work often or something that is maybe a once or twice a year thing, preferably after winter break so you’re a little more settled into the school year. Something like field day can be a great one IF the person doing it with you is the person who has done it the past 5 years so they already planned everything and you get to help – if you’re doing it with someone else for the first time, however, that can be an overwhelming task! Again, ask someone for advice! Every school is different. If you’re not required to sign up for anything, I’d honestly say don’t! BUT make sure you’re at a school where a lot of people simply don’t sign up and that’s normal. You don’t want it to be not technically be a requirement but then your principal pops in your room one day once all the spots are filled and asks why you didn’t sign up for anything and asks you to take what’s left (which, trust me, is empty for a reason). Also make sure it’s not tied to any bonus or something where you have to be on a committee to get the bonus before you decide not to sign up. First Year Teacher Tip #3: Always eat lunch in the lounge. I know you have a million things to do but it is SO important to take a few moments to be around adults, laugh, and share your day. It’s refreshing and a mental break you need. Even if you’re not BFFs with the people who have lunch when you do, it’s still important to sit down, breathe, eat your lunch, and be around other adults for a few minutes. It is another thing that doesn’t seem like a big deal but starts to weigh on you. Trust me. First Year Teacher Tip #4: It won’t always be this hard. It won’t always be this hard. Repeat that to yourself when you feel overwhelmed. You’re literally learning how to do EVERY single thing that teaching encompasses right now. Of course you’re overwhelmed! Doesn’t mean you’re not awesome and totally ready to take on this new adventure! Realize that all of the gathering resources, laminating them, cutting them out, etc. is stuff you’ll have ready to go next year. Next year, even if you switch grade levels, you’ll know so much more than you do now and that will be so comforting. You’ll have a year experience finding your teaching style, classroom management style, how to handle homework, how to handle parents, and literally hundreds of other things you didn’t know before the first day of school this year. It won’t always be this hard. First Year Teacher Tip #5: Get into your new classroom the moment you’re allowed to and then walk the halls! Okay so I bet you were probably going to try to get into your new classroom the second you’re allowed to start setting it up anyway but you want to be in your new school the moment teachers are allowed into the building because, in many schools, this is PRIME purging time for teachers to get rid of stuff they don’t want anymore and, as a first year teacher, you need basically everything, right?? It may not be the case at all schools but, at many, teachers go into their classrooms over the summer and clean out stuff they don’t want anymore and put it out in the hall outside their door or in the lounge. If that is the case, it is FREE stuff! Don’t wait a week to go into your new classroom because you’re overwhelmed or don’t have everything ready to take in or whatever – I say be there every day for at least a little bit so you can be the first to pick through any goodies people may have left outside their door! IMPORTANT - though - make sure it is okay to take this stuff and that is what people do. Make sure it’s stuff they’re actually getting rid of, not putting out in the hall to reorganize. Before you take ANYTHING from a pile outside a door, pop in their room and ask them in a super friendly, “Hey are you getting rid of this stuff?” and if they say yes, profusely thank them as you take it. Don’t be a hoarder, though – only take things you really need and will use. First Year Teacher Tip #6: Ask Questions!! It’s hard to not feel afraid to ask questions. You want everyone to think you’re the best first year teacher ever. I get it. But don’t ever feel ashamed asking questions! Especially with the other teachers on your grade level team if you have one. Asking questions is a great way to bond with your new coworkers! Don’t just hit them with a bunch of questions obviously but you can always genuinely compliment something you love in their room that you think you may want to try yourself and then ask them how they do it. - Wow I love your center rotations board! It looks so organized! How do you do it? - Your Monday – Friday buckets are awesome, is that how you organize your copies? - This is so cool! Is this how your kids turn in their work? Don’t be weird and snoopy (lol) but when you visit with another teacher in his/her room, quickly glance around at what’s on the tables/desks, walls, etc. It really helps to see the way another teacher does something in person! If you feel awkward doing that, search classrooms on social media – plenty of people share their set ups! You can ask them questions too! In my experience, bloggers are typically super helpful, nice people who don’t mind answering your questions, or at least I don’t! I mean, if you’re writing a blog or sharing pictures on social media of your teaching ideas, you probably love talking about them and are doing it to help other people so you probably love connecting with them and don’t mind helping. I love feeling like I’ve helped so please don’t ever hesitate to ask someone who posts a picture of how they do something for advice or clarification if you need it! Try to not be sad if they don’t respond, though. I know I personally get hundreds of messages a day and it’s so easy to miss some by accident. I try so hard not to but it happens so definitely don’t take it personally, they probably didn’t even see it! Try not to ask your principal or admin a question you can ask someone on your team or a friendly coworker later. Your first year is a lot of smile, nod, and ask, “Wait, what was she talking about?” later to someone you trust :D There will be a lot of acronyms or terms you might not know yet. Unless you really need to, try to save your question for later with a coworker friend in a casual setting rather than the middle of a meeting. First Year Teacher Tip #7: Read teaching blogs! Seriously though, pretty much every single thing you could possibly want to know, a teaching blog probably has answered for you. & answered in a way that makes sense. & probably even has pictures. Do a search and pick the teaching blogs off the first few pages. Teaching blogs are obvious once you recognize them. Read the info on those! For example, if you’re a first grade teacher and wanted some fun ideas for teaching graphing, if you typed in “Graphing First Grade” into your search on your browser, a lot of results would come up, hopefully including my Graphing and Data Analysis in First Grade post. Pick out the posts from teaching blogs (rather than websites) to read as I think they’ll be the most helpful! 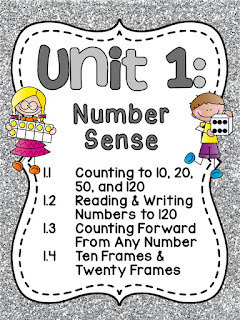 You can do this for everything you can think of – from how to set up math centers to open house tips to how to deal with a chatty class to how to teach numbers and number sense to fun ideas for teaching short A, etc. to see my most helpful posts organized by topic so you can quickly learn about anything you want! I love to include a lot of pictures and be as helpful as possible so I hope you enjoy those! So, as I said, for absolutely anything you ever want help with, do a search and pick out the teaching blogs to read for tips! There are so many great ones out there! Even if you’re going to be teaching kindergarten or 2nd grade, there are still so many helpful tips in that post! First Year Teacher Tip #8: Utilize your school’s instructional coaches if your school has them. If your school has instructional coaches, that is AWESOME! They are an amazing tool to help you become even more of the amazing teacher you want to be. Ask them questions! They are typically awesome at whatever they’re a coach for (math, literacy, etc.) and it is literally their job to help you teach it well so ask them if you ever want help! I feel like they’re so often underutilized by teachers at schools. Don’t feel like it makes you look super new, they’ll probably be impressed that you took the initiative to ask them for advice. If you ever feel like maybe you could do small groups better, you could ask them to model a lesson. Be aware – though – that they’re probably going to say they want to come watch you do it then give you tips after. They might actually do this anyway as part of their job. Listen to what they say!! It’s so easy to want them to just say, “Oh my gosh that was perfect! You don’t need to change a thing!” but if they are doing their job well, they will tell you what you did well and what you need to work on. They will have critiques. Even the best teacher ever has things to work on… always. That’s actually a great lesson to learn now. You’re always going to be learning and getting better! You may be used to getting 100% on your evaluations in your internships and classes – don’t expect that! Honestly, the things they say sting a little because you want them to say it was perfect but try not to get offended, instead truly reflect on the negative feedback and try to implement their suggestions. You may be shocked that they were right! Ask them how you could do it better and then try it with your students! Really though, if ever you’re lost on how to teach [whatever], ask your school’s instructional coach for advice and ideas. 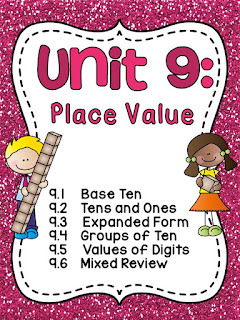 They may even have cool materials you can borrow to use in your lesson! First Year Teacher Tip #9: Treat the custodians and front office staff like royalty. Be nice to everyone of course but make a special point to be kind to the front office staff and custodians. They do SO much for you behind the scenes that you probably have no idea about! Make a special effort to thank the custodian any time you see them doing something in your room. They’re really the backbone of the school and work so hard. First Year Teacher Tip #10: You might question your decision to become a teacher a lot this year. Teaching is amazing and I think it is one of the best jobs ever but it can be overwhelming! There are going to be so many aspects of teaching you never knew existed and there are going to be haaard days. Remember this is your first year and being totally overwhelmed and questioning your life a million times is normal your first year. I think every new teacher (or at least most?) goes through a weird phase during their first year where they become really depressed about teaching. I don’t know why but it happens really often. First year teaching depression is real and it happens to even the best of the best new teachers. If you sort of anticipate it and take steps to avoid it as long as possible (be around positive teachers, laugh about silly moments, etc. ), that can be really helpful. Your goal is to try to keep loving teaching as long and as much as possible because there will be times in this first year where you hate it and question your decision to become a teacher. Those freak out panic awful feelings will pass and you will get over that hill. It feels so uphill and awful while you’re climbing up the hill but you’ll get over it. And even if they hide it well, the other first year teachers feel the same way! Don’t let me scare you with this though. Your first year will be challenging but it will still be fun, filled with so many great memories and you will absolutely LOVE those kids in your first class for forever and ever. You will think about them 20 years from now. They will always feel like your babies because you worked harder for them than anyone else. This brings me to tip #11! First Year Teacher Tip #11: Have a To Do List AND a DID list. My “Did List” is the best thing I think I’ve ever done to help me feel accomplished. It only takes a total of a few minutes each day to do and yet makes me feel 100% better about my day. If you ever feel like you worked so hard and yet got nothing done all day, you are going to love this trick! If you’re a list maker, you will LOVE this. It motivates me every day. I am obsessed with it. It’s so easy to stare at your to do list every day and think, “Oh I’m going to get this and this done tomorrow” only to be disappointed when you feel like you were running around everywhere and didn’t cross anything off. This will help show you that, no matter how long your to do list looks, you actually do get SO much done each day. It’s okay to not be as productive on those days… if Saturday and Sunday are blank, I consider that an accomplishment actually. Try to not work on weekends when you can! I write ALL my things I did, including laundry, dishes, whatever. Hey you did it, give yourself credit for it so you can see how amazing you actually are and all the things you get done in a day. It’s easy to get down on yourself with mounting to do lists and this helps me SO much with that! Write those down then make copies of your list. If you look above at my picture example, the things in black are on my list every week. You probably have things like that, too, that you do every single week (copy homework, change class jobs, add new word wall words, etc.). I don’t write them every week. I wrote them once then made copies of the paper to use as my to do list. This saves so much time! Then under that I add anything new that week in pencil. I usually do that in a different color other than black (usually pencil) so they stand out to me. You can see the lighter colored writing underneath the black writing - that's what I added to the list that isn't on the copy. You could easily make your own to do and copy list to fit what you need but if you want mine already made for you, I put it in my TpT shop here for FREE! First Year Teacher Tip #12: Always submit your attendance on time. Always submit your attendance as soon as the bell rings! Remember how I said to treat the front office staff like royalty? This is the easiest way to get on their good side. Don’t make them call you to remind you. It’s super easy to forget to submit so I recommend having something kids do as soon as they enter the room so they’re not bombarding you while you’re trying to take attendance. I highly recommend my kid graphing cards I show in my Fun Ideas to Teach Graphing post where, first thing in the morning, kids grab their kid card that they made to look like them and answer the daily graphing question to make a class bar graph. It also quickly takes attendance for you. You simply look at which kid cards weren’t used, do a quick glance to double check those kids aren’t in the room and that no other kids are absent, then mark them absent and submit. First Year Teacher Tip #13: Have a system so you always know where all your students are. Along those same lines, one reason it’s very important to submit your attendance right away is that it’s very important to always know where your students are at all times. Have some sort of system where they check in and out so you ALWAYS know where they all are. Always have an up to date class list handy that you can grab in case of a fire drill so you can make sure you have all of your students or see who is missing. If you wear a lanyard, you can tuck a small piece of paper with all your students names on it behind your ID so you always have it with you. The first few weeks of school are all about teaching routines, procedures, and expectations so make sure you walk around your room and know what you want all of those to be! Even the tiniest little things! Here is a giant list of classroom routines and procedures to get you started on thinking about it! You don’t have to figure all of these out right now but they’re nice to think about! Setting up your expectations and strong classroom management is crucial in these first few weeks! I have shared a lot of classroom management tricks over the years on this blog and on social media including in the post I was just talking about. First Year Teacher Tip #15: Smile at the kids and show them you love them every day. Be Kind. On that same note, though, ALWAYS be kind and show the kids how much you love them. Say hello. Get to know them. Randomly chat with them during the day. Tell them about you. Let them share about them. Bond. They will listen to you so much better if they know you love them. Even when you’re stressed, greet them with a friendly and calm smile when you first see them in the morning. It may be the first smile they see that morning. Your love and attention may be the only love and attention they get from an adult that day. You don’t have to have the most exciting lessons on the planet or the cutest classroom ever to show them you love them. They’ll know by the way you treat them. Firm and consistent with expectations but always, always kind. Treat them like you would want someone to treat your kids. Have fun with them. Even a silly joke or giggle during a lesson or while they’re working can go a long way. Let them see you’re human. Tell them how proud you are of them. Tell them when they’re making you sad talking while you’re talking. Be real. They love you. When you’re human and they can see you as a real person that they love that loves them back, they will behave so much better. Forcing yourself to smile and sound excited when you’re explaining an activity or whatever will help them enjoy school and pretending to be happy and excited can often actually make you feel happy and excited. Especially when your students act happy and excited in response rather than groan. First Year Teacher Tip #16: This year is all about finding your style so try new things and have fun! First Year Teacher Tip #17: Don’t touch your face! …. Which leads me to #17 which is kind of a silly one: Don’t touch your face! Try not to touch your face during the day. Have a separate box of tissues you use apart from the students’ box. Try not to touch their writing utensils and tools (that’s a hard one in the lower grades but try to have your own things – keep your own caddy on your desk and one on your small groups table with pencils, markers, etc. that only you are allowed to touch). Wash your hands before you eat and try to bring lunches you don’t directly touch with your hands to eat. Teach them how to cover their coughs and sneezes with their arms and how to wash their hands if they sneeze or cough into them, wash their hands after the restroom, etc. Change out of your school clothes as soon as you get home! How many kids did you hug today that were all over your clothes? Plus, it’s the perfect excuse to get into pajamas at 4 P.M. – take it! I know it sounds silly but it’s really common to get sick over and over your first year teaching because the kids all come to school with different strains of the cold so once you get over one, you get another one so it’s nice to take a few precautions while you build up your immune system. You probably will get a cold a few times during this first year of teaching, though, so make sure you always have generic substitute plans ready (with copies of work to do already made in case you didn’t make copies for that week because you didn’t feel well) and put them in a specific place on your desk so if you ever need to call in sick, you can point the office to them and won’t feel so scrambled or try to crawl into work anyway. It doesn’t take a long time to prepare and you’ll feel so much better knowing you have it! First Year Teacher Tip #18: Get resources in YEAR SETS and try to copy ahead. I highly, highly, highly, highly recommend consistency in your activities, especially in K-2. Have your reading centers be the same EVERY week but switch out the new phonics sound. Have your sight word activities be the same EVERY week but switch out the new sight words. Pretty much have everything exactly the same each week but switch to the new skill being taught whether it’s the new phonics sound, math concept, sight words, spelling words, etc. This will save you SOO much time and stress having to explain new activities all the time. Once they’ve done it a few times, the kids will know exactly what to do every day without you telling them anything and can focus all their brain activity on just learning the new skill rather than HOW to do the activity to do the new skill. I hope that makes sense! If your curriculum doesn’t provide that, look on TpT in your grade level for year sets of things. The beautiful thing about getting things in year sets is you know what you’re doing every week and aren’t scrambling for activities. All you really have to do is make the copies, not search and scramble to find new things and then still have to make copies. Once you get a resource like that, when you go to make copies, bring the next week’s page too and copy both, paper clip them, and then you’re prepped for 2 weeks and it didn’t take that much more time. You could even do it for many weeks at a time and copy way ahead. Copying ahead feels sooo good when you can do it! It is super important to use your data to do the very best for your kids and let it help you differentiate your instruction to meet their individual needs. However, DO NOT get obsessed with data. I could rant about this but I will keep it short. Even if your school is obsessed with it, even if your administration is obsessed with it, don’t get obsessed with it. Use it, learn from it, grow from it but don’t let it affect how you feel about yourself or your students. We’re in a data crazy time right now in some schools so I wanted to throw that out there. Don’t judge a kid by their data coming in either. They may surprise you! First Year Teacher Tip #20: Don’t feel inadequate for taking things home or staying late. You WILL take things home this first year. A lot of people are going to give you the advice of not staying late or not taking work home. I understand what they’re saying and definitely think you should make it a point to not make that a habit but your first year… you’re going to. You’re making all your centers for the first time, you don’t have files of things you’ve already done and made to pull from. They mean well when they say, “You’re still here?? Go home!” but it really can make you feel inadequate thinking thoughts like, “Why can everyone else get everything done and leave at the bell but I’m still here for hours?” Don’t feel that way. Feeling like you have 9485048353 things to do and not being able to get them done during the school day is totally normal. I mean you’re teaching the vast majority of the school day – how could you possibly cut out centers or make copies during that time? A small break during specials is barely enough time to pee and breathe. The differences between you and the teacher who said that to you are that a) they’ve already done that work you’re doing in previous years, or b) maybe you are actually doing more than them. First year teachers are very ambitious – after a few years you chill out and realize you don’t have to do ALL. THE. THINGS. for your students to learn a lot and love school… but I totally understand that you feel like you need to right now and are excited to but are just struggling to find the time! First Year Teacher Tip #21: Your first year teaching is going to be crazy… love it anyway! This speaks for itself, I think! Make sure you follow people who inspire you so you always see fresh new ideas that inspire and rejuvenate you during the year! If you want to follow me, here are some fun ways to do that!